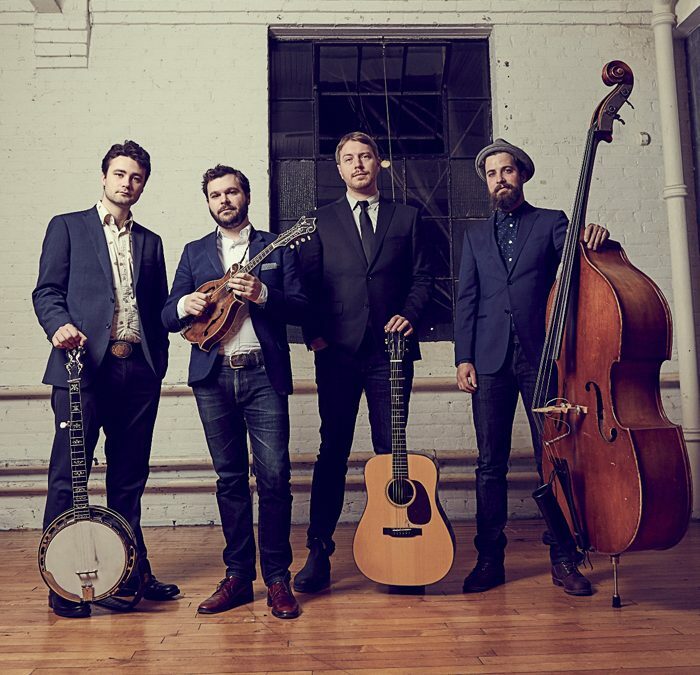 The Slocan Ramblers: Entertaining Toronto four-piece The Slocan Ramblers combine impressive bluegrass virtuosity with a fresh contemporary appeal. In the last few years they’ve become a leading light of Canada’s roots music scene, built on their reputation for energetic live shows, impeccable musicianship and an uncanny ability to convert anyone within earshot into a lifelong fan. Their third album Queen City Jubilee was released in June 2018 and showcases The Slocan Ramblers at the top of their game, blending lightning fast, devilishly intricate instrumentals with evocative vocals on songs ranging from fine originals to rowdy old-time numbers. Following a warmly received first UK & Ireland tour in late 2017, The Slocan Ramblers return to our shores this autumn, including a return visit to Green Note. They’re sure to delight UK audiences once again with their trademark combination of sizzling live performance, raucous energy and top notch musicianship.